Through the youth project at our centre, we provide extensive youth programming to the community by offering high school programs for young girls in multiple schools across Montreal. Our aim is to offer sustainable programs that are inclusive, promote safety, and create spaces for inspiration, creativity, and self-expression. Currently, we offer girls programs to three high schools in Montreal: Académie de Roberval (Villeray), École Lavoie (Cote-des-Neiges) , and Laurenhill Academy (St- Laurent). Our participants consist of girls from all ethnic and cultural backgrounds. All of our programming is youth-led, peer-based and responsive to the particular needs and context of the youth. Our high school programs run during lunchtime on a weekly basis from October to May. Each program consisted of 15-20 high school girls, mainly from immigrant families. The program offers weekly educational workshops in at least one school per week, touching on topics like mental health, sexual health and sexual assault, gender-based violence, racism and prejudice, and representation of women in politics and media. The programs also heavily engage the students in arts-based activities, and the students are encouraged to discover their interests in poetry, filmmaking and visual art. 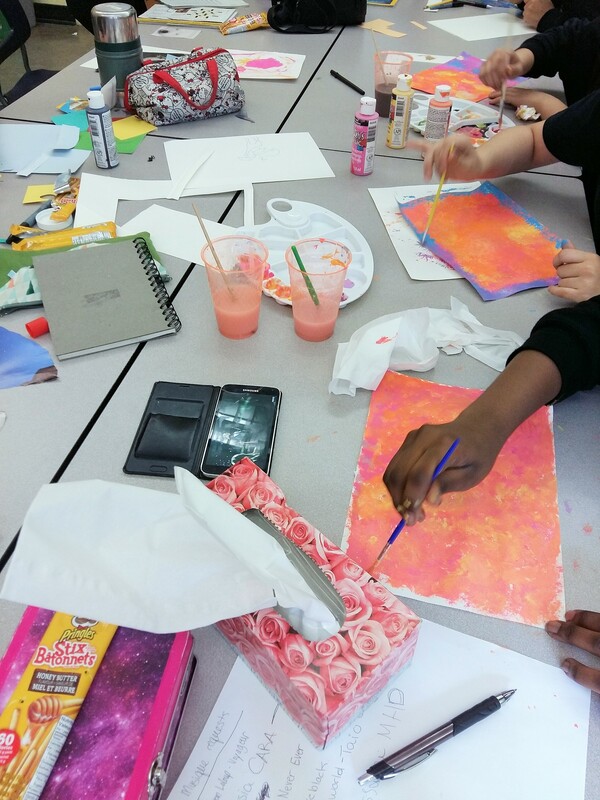 IMPACT Girls Club (Laurenhill Academy): A safe space for dialogue, artistic expression and skill-sharing among young girls. This program consists of monthly educational workshops, on topics like mental health, racism, gender stereotypes, sexuality, and media representation. It is a space for learning the skills to support each other, and create safe and enriching spaces for ourselves. 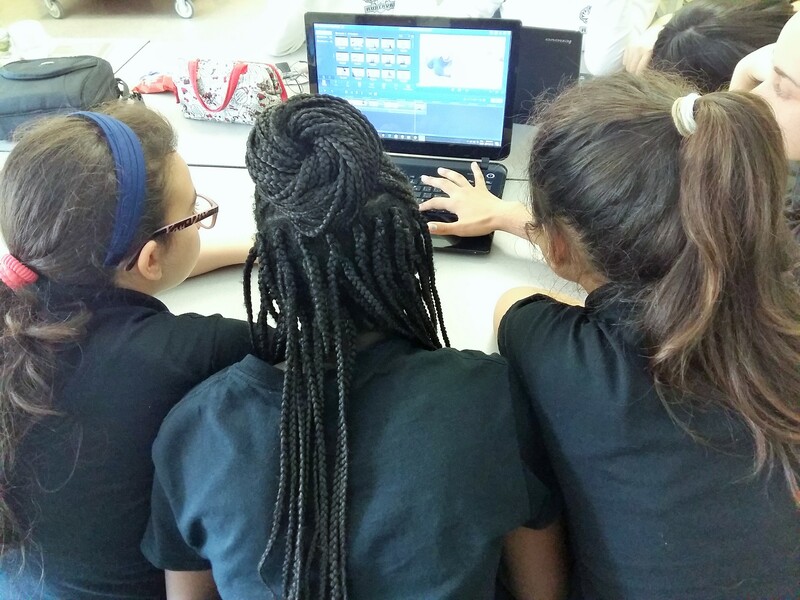 The IMPACT Girls Club also consists of an artistic component, and the girls are offered workshops on poetry, spoken word, photography and zine-making. This group of students organizes an annual poetry and arts showcase in downtown Montreal, where they exhibit their art and perform their poetry. Dîner des Filles (Robeval): The Dîner des Filles started in 2015 and continues to offer a space where the girls build confidence and express issues that affect them through the filmmaking and art. Club de Filles (Lavoie): The Club de Filles has been a space for engaging in art and discussion in a nurturing environment. 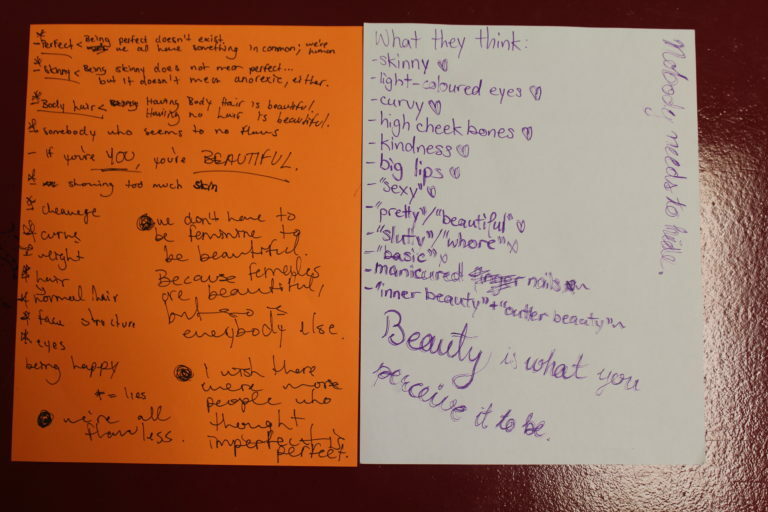 The workshops have centered on themes such as self-esteem and self-love, body image, bullying and abuse, sexism and racism in society, etc. Artistic expression has allowed the group to engage in discussion in new ways and express themselves in a space where all voices are heard and respected. School programs have remained a priority for our youth project because it targets a population with many barriers towards support services. Our workshops remain a source of education and self-esteem building activities that are structured to respond to the specific needs of the participants. These programs also support individual workshop facilitators, mostly young women who were once participants in our programs, as we often invite them to facilitate workshops to our youth and are also a source of mentorship for the younger girls in our programs. For example, in the past we have invited young women who facilitated filmmaking workshops, poetry workshops, and educational discussions on the relevant issues facing young women today.